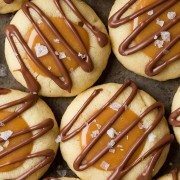 The Best Thumbprint Cookie Recipe! 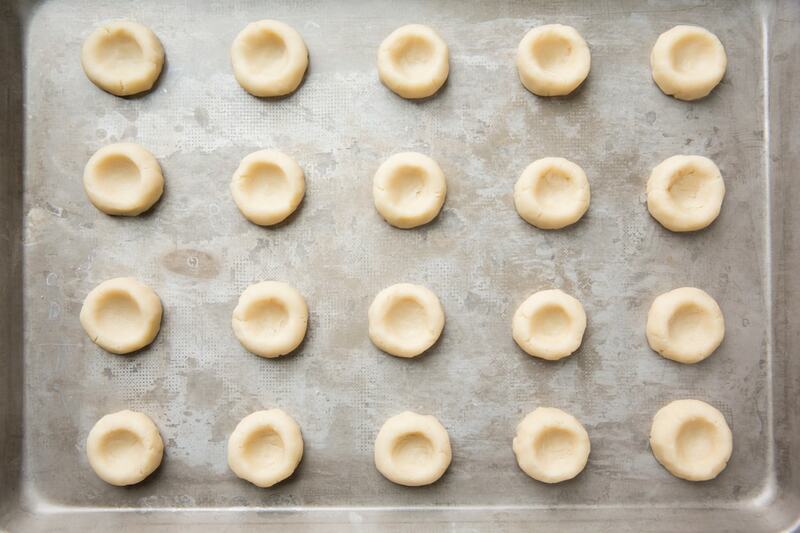 For the cookies: Preheat oven to 350°F (180°C). In a mixing bowl whisk together flour and salt, set aside. In the bowl of an electric stand mixer fitted with the paddle attachment, blend together butter and sugar until combined (it will take a minute or two since the butter is cold). 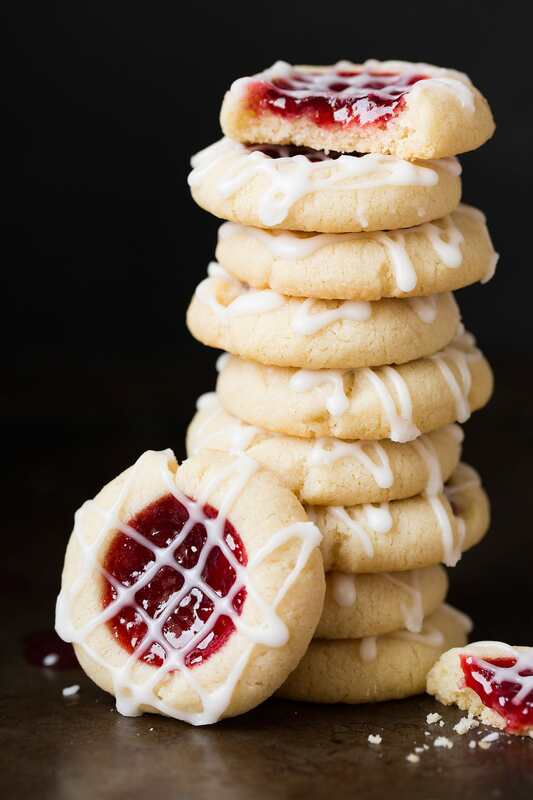 Mix in almond extract then add in flour blend until mixture comes together (it will take a bit of mixing since the butter is cold, so be patient, it will seem really dry and crumbly at first). 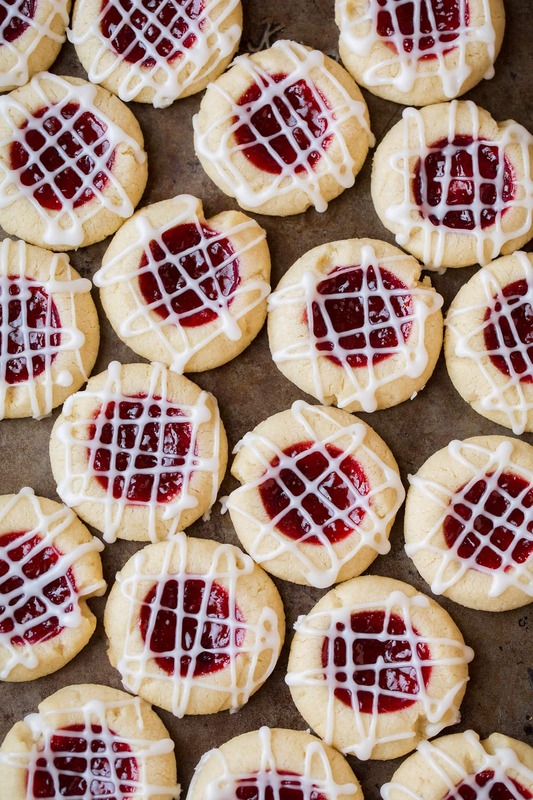 Make a small indentation with thumb or forefinger in each cookie (large enough to fit 1/4 - 1/2 tsp of jam). 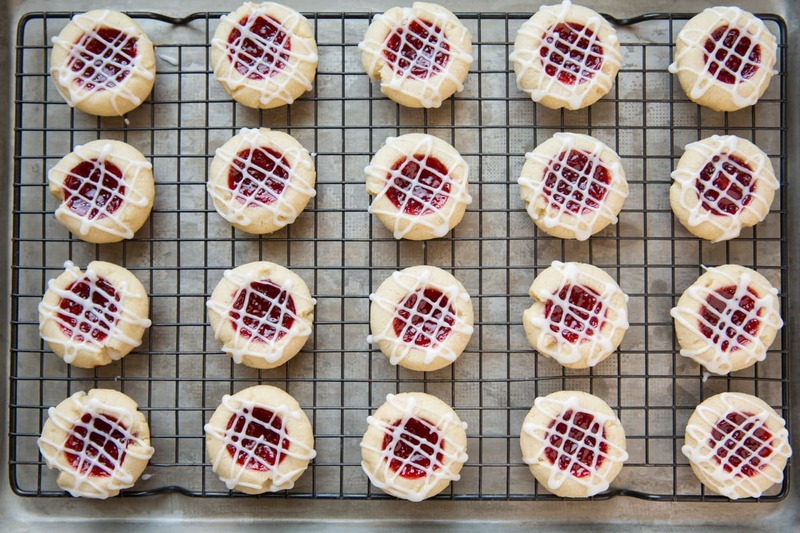 Fill each with 1/4 - 1/2 tsp jam. Chill in refrigerator 20 minutes (or freezer for 10 minutes). 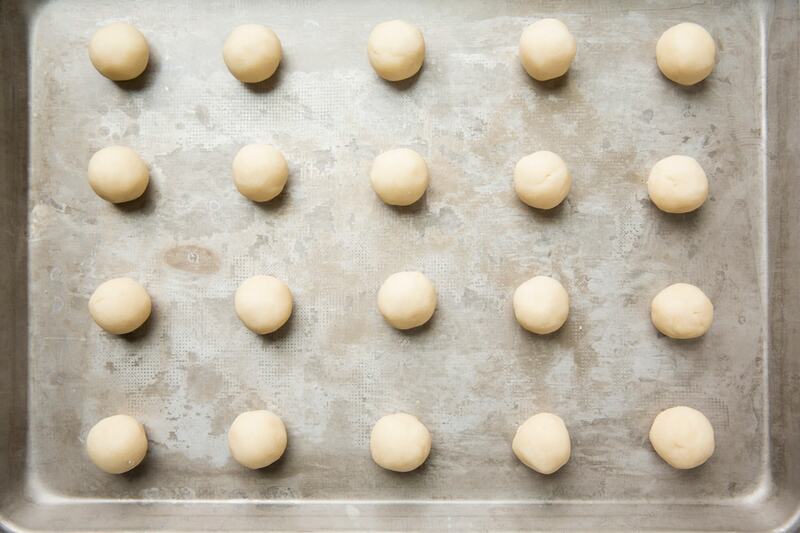 Bake in preheated oven 14 - 18 minutes. 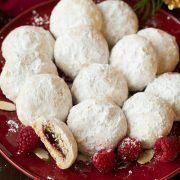 Pour or spoon mixture into a sandwich size resealable bag, cut a small tip from one corner and drizzle over cool cookies. 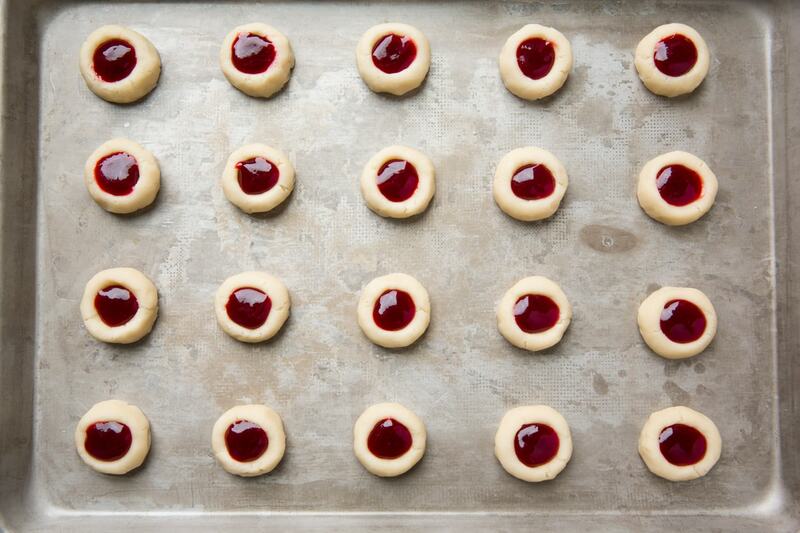 Let set at room temperature then store in an airtight container. *To measure flour scoop with measuring cup and level with a butter knife. 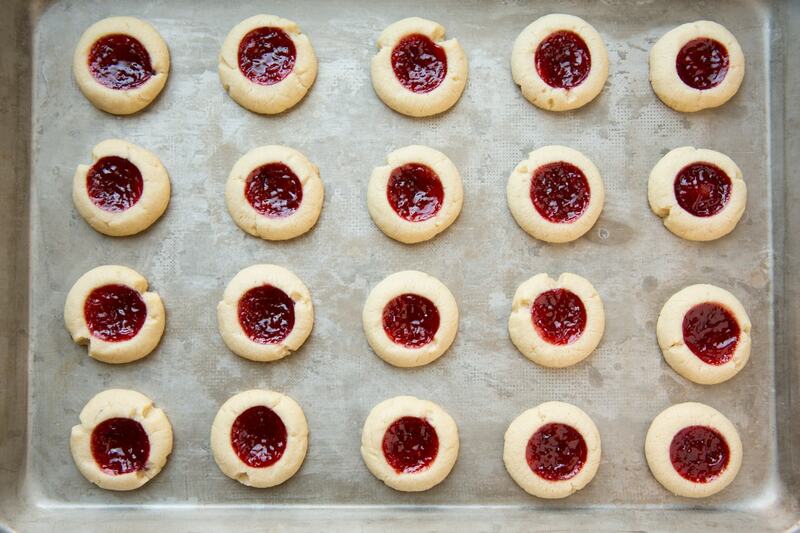 Don't whisk or sift first and don't spoon into the measuring cup. 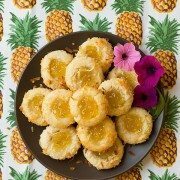 Trish: I made these cookies for Easter, they were so tender, pretty and delicious! I was in a hurry so I didn’t have time to chill the dough which would have made the dough easier to work with but still turned out perfect. Alyce Heidt: My cookies really SPREAD!!! They did not stay in their little balls! 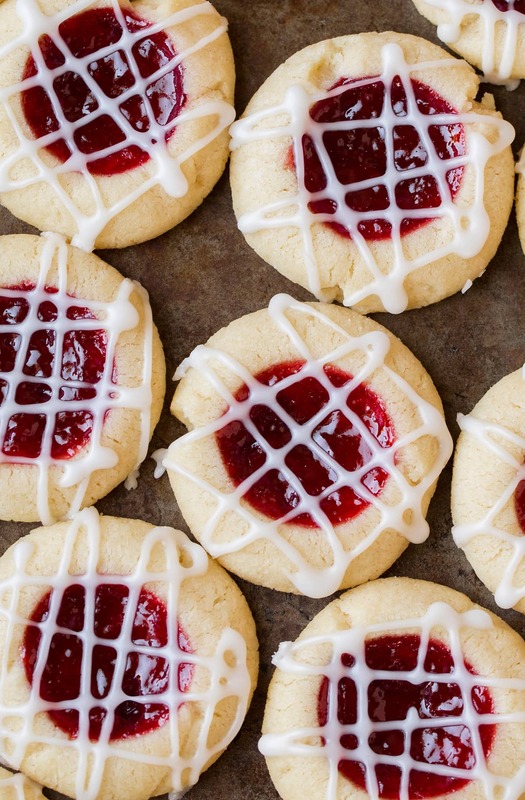 They look more like “Lace Cookies”..than thumbprints!